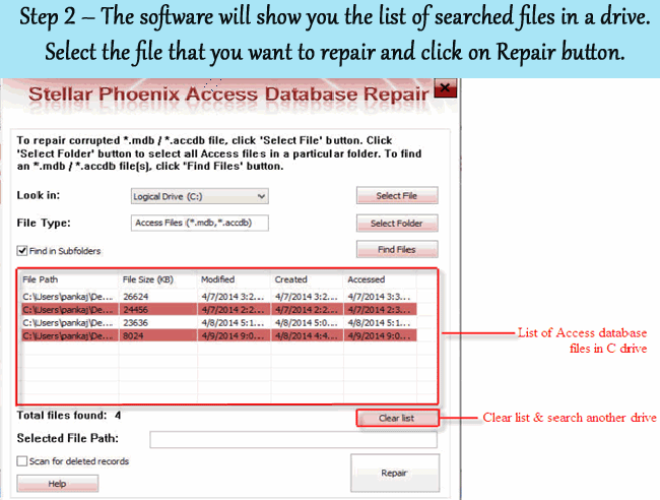 Frequently getting Action Failed Access 2950 error code in your Access database? Looking for some instant fixes to resolve such kind of issues? Well if yes, then this post may seems workful to you. 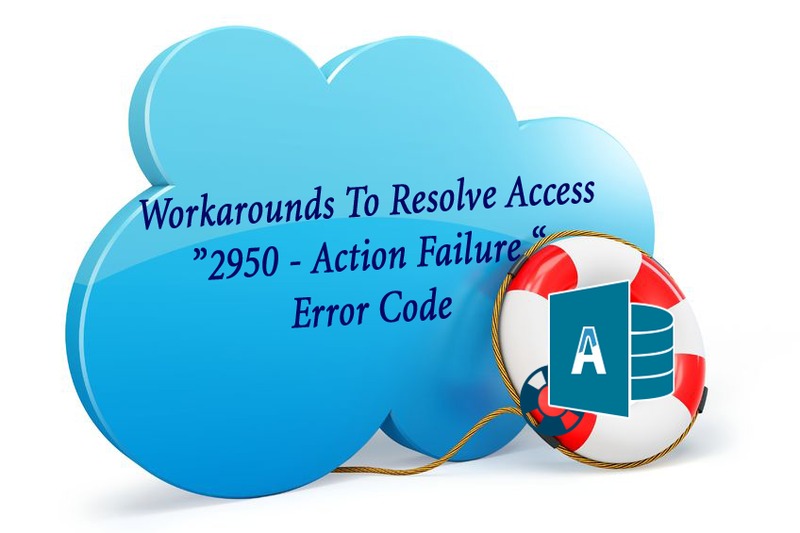 As it contain complete solution to resolve MS Access Action Failed Error Number: 2950. The most vulnerable point of MS Access is where most error occurs in Macros. Well macros is basically for introducing a level of automation within Access but scripts that make the execution of macros can have the chance to get corrupt easily. Thus it leads to unexpected macro error: “Action Failed Error Number: 2950”. 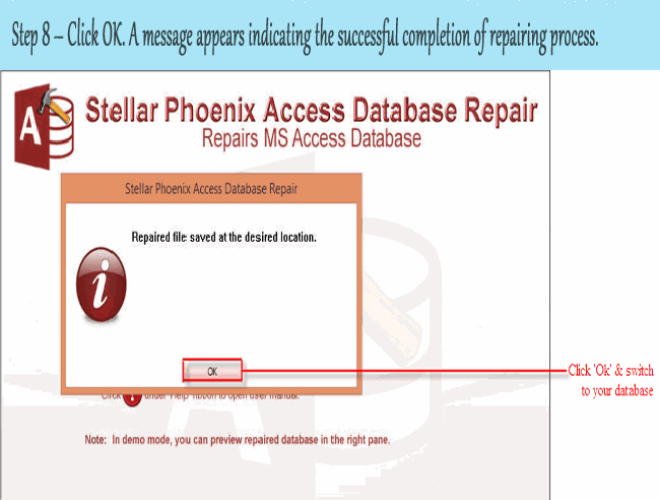 Let’s find out the main causes behind this error and the easy the fixes to resolve this MS Access Database 2950 Error. Basically, this kind of error is mainly faced by the users who are actually launching the database that is not trusted and mostly in the MS Access application. A MS Access error 2950 is the numeric data format of the error code that is developed by Windows as a standard error layout, in addition to device driver manufacturers and compatible programs of Microsoft Windows. This type of computer code is usually employed by the commercial to identify the causes of error. The Microsoft Access error 2950 message provides you practical brief description as well as a numeric number. In many situations, it might have additional parameters in the format of Microsoft Access 2950 error . 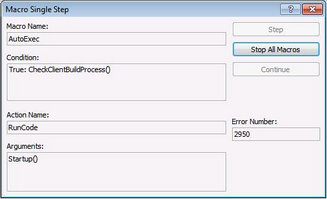 The additional numerical code of the error message is the address of the memory sections that are loaded with the guidelines at the time of the error. 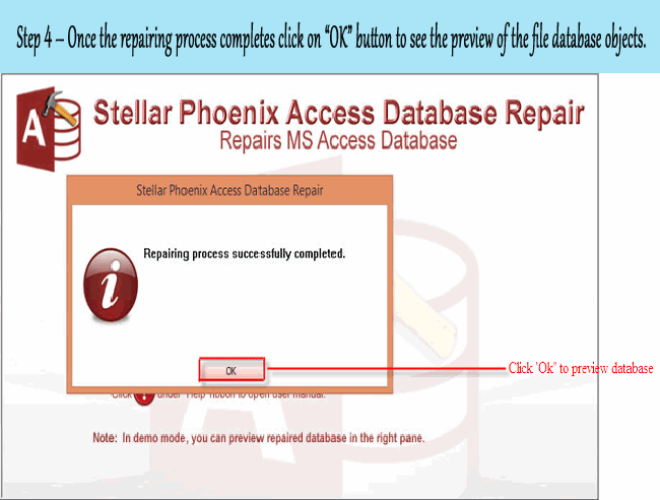 What Causes MS MS Access Database 2950 Error code? This particular issue usually occurs when the database is not trusted by the Access application. By default, the MS Access opens up the untrusted database in disabled mode. As, the executable content is disabled in this mode. The Access 2016 error 2950 message may occur because of the failure of Microsoft Windows System. Missing system files are generally a significant threat to the life of your computer. There can be so many circumstances that may cause a system file error such as incomplete file erasure, incomplete installation setup, and bad erasure of computer hardware or software. These errors also occurred when a computer or laptop is infected by adware/spyware or PC virus or by an improper shut down of computer. Any of these activities may end up in the corruption or removal of data files of Windows system and that broken system files will offer you a incorrect or absent data files and linked data that is necessary for the accurate operation of the computer. If you are getting Access error code 2950 and want to fix this error then you can follow the below mentioned methods. Start up the computer or laptop and sign on as admin. After then, click on the Start Button and then click Programs-> Accessories-> System Tool-> System Restore. In the next screen, click on “Restore my PC to a prior period” and click “Next”. Here you have to choose the latest restore date from “click a restore date” list and after then click on Next. In the verification window, click the Next button. When the restoration is complete, restart your computer or laptop. Open the ms access 2007, navigate to the message bar and click options. The Microsoft office security option is displayed. Select the enable this content options and then click the OK button. Apart from enabling the database, you can also try moving the database to any other trusted location. So, that no any other situation arises like this. 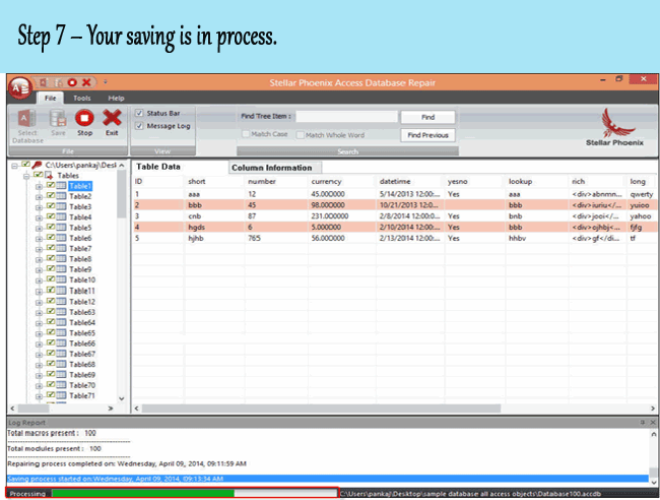 You can check out these steps to perform database transition. In the ms access software, open the MS office button wizard. Click the trusted location field and then set the trusted location from the list. In order to add another trusted location click add new location. 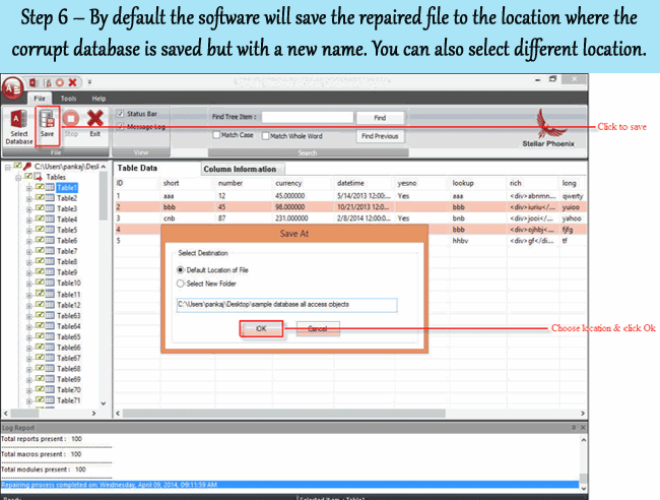 Likewise, you can shift the database to a trusted location which can be helpful in diminishing the MS Access database errors. In the MS Access application, create a new form. Add the label and the text box object in the form. Save the newly-created form and close it. 4. Create and then name a new macro as AutoExec. 5. Display the conditions field columns. 6. Specify the CurrentProjectIsTrusted= False in conditions. 7. Go to Actions column, and then click the OpenForm option. 9. Select the newly-created form. By applying these entire solutions one can be aware of the root cause to avoid the occurrence of action failed error number 2950. But as most of the users are engaged in saving the database, the situation leads to the corruption of MDB OR ACCDB files which results in crucial data loss. 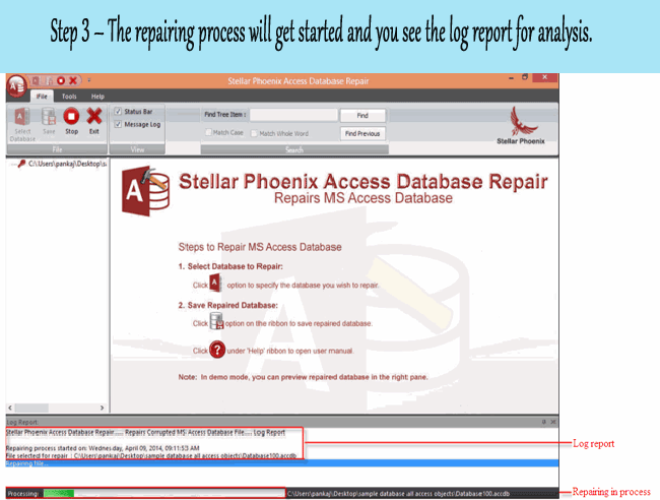 In order to restore the database in consistent state, one might need the assistance of trustworthy third party tool.You can use MS Access Repair Tool to fix Access 2013 error 2950. 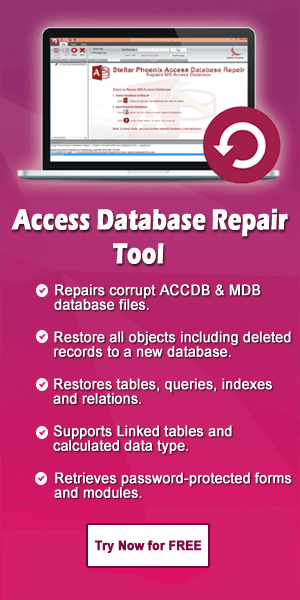 It can easily repair and recover corrupt, damaged and inaccessible data. 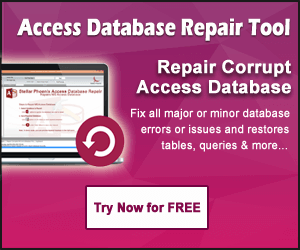 With the help of this tool, you can easily recover database from any sort of corruption. 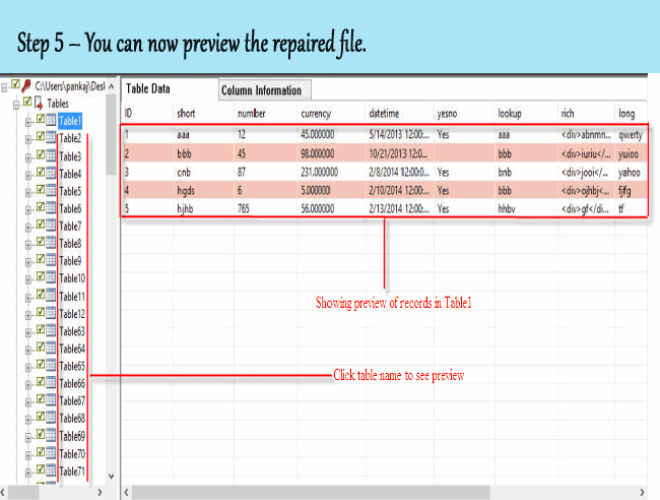 It can easily retrieve the corrupt indexes, queries, relations and tables. Password protected modules or forms can also recover with the help of this tool. 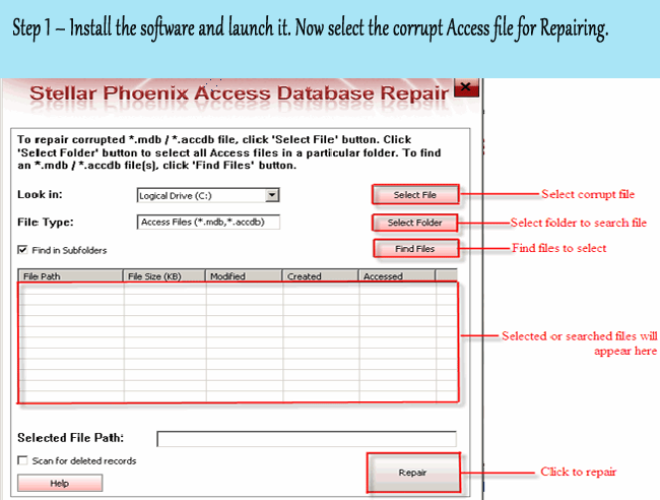 This software will work on almost all version of Windows operating system like Windows 95/98/ME/NT/2000/2003/Vista/7/8/8.1. Aforementioned fixes are just perfect to resolve MS Access error 2950. So, carefully try the manual fixes and if you are not so sure about the correct application of the it. Then it’s better to approach for the automatic solution.